Naomi Campbell Heats Up The Cover For Vanity Fair Spain! The stunning supermodel presses a silk sheet to her firm chest that leaves much to the imagination. The chocolate beauty look striking and fierce as she stars on the cover of vogue Turkey, her supermodel friends Claudia Schiffer and Eva Herzigova look equally stunning as they bundled together. 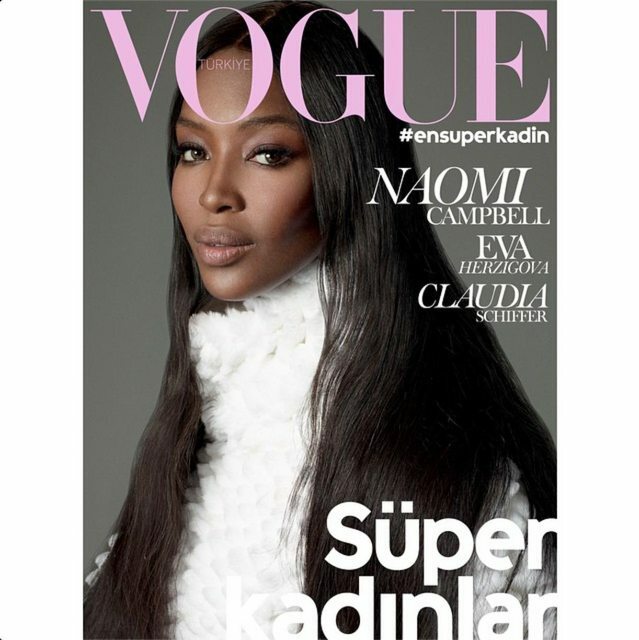 This entry was posted in Fashion+Style+Beauty and tagged Naomi Campbell covers Vogue Turkey November 2014, Naomi Campbell Heats Up The Cover For Vanity Fair Spain!. Bookmark the permalink.